Store cables in the box when not in use. 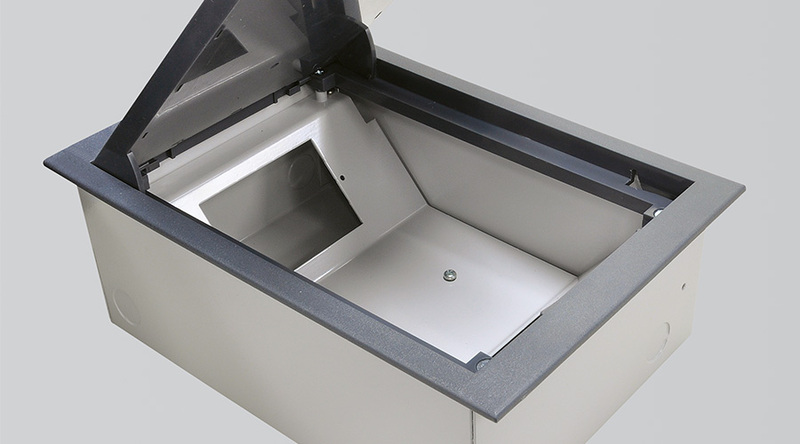 The OE Elsafe FALCON floor box is one of the smallest floor boxes on the market yet it still provides an excellent solution for power and data requirements in open spaces. The FALCON floor box provides services directly to workstations, conference and training rooms, where other access is not practical. 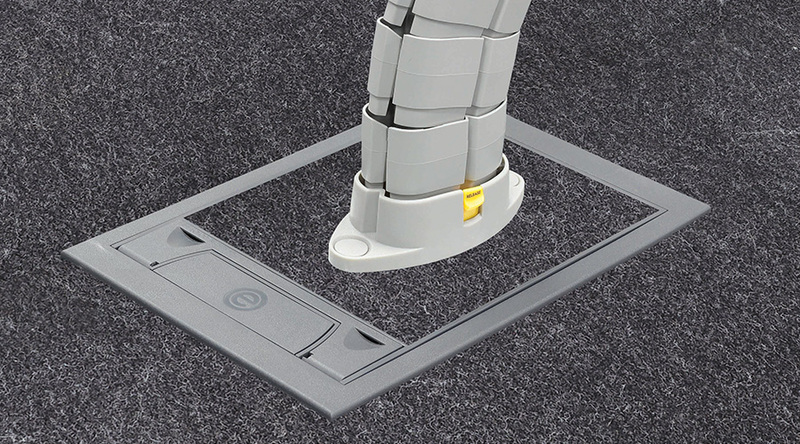 Designed for use in concrete floors, raised access floors, wooden stage floors and computer floor applications. The FALCON Floor Box design allows room for cables to be stored within the box when not in use. 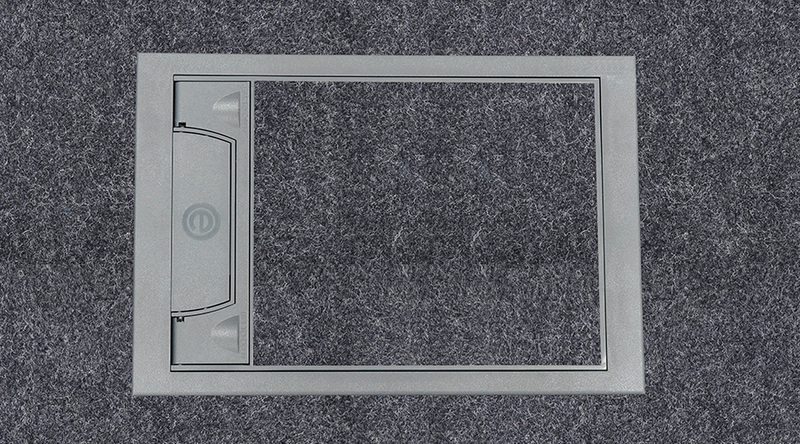 Features a recessed lid that will allow carpet, carpet tiles or similar floor finishes to be installed to discretely merge in with its surroundings. 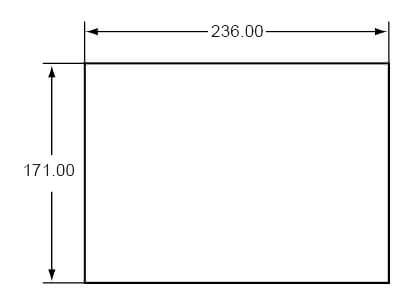 The FALCON floor box is designed to be fitted with industry standard GPOs or Data grids. 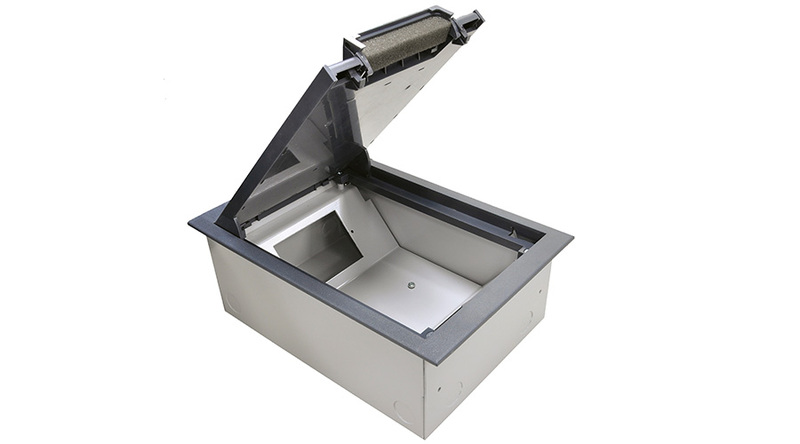 CARDINAL comprises of a ABS/Polycarbonate lid reinforced with a 3mm steel plate. The chassis is fabricated from powder coated 1.2mm mild steel. – Recessed to accommodate material matching the floor i.e. tile or carpet. – Recessed to accommodate material matching the floor i.e. tile or carpet with a Messenger M.P.O. fitted for umbilical connection. All FALCON lids are removable and reversible. The FALCON is designed for use in concrete floors, raised access floors, wooden stage floors and computer floor applications. 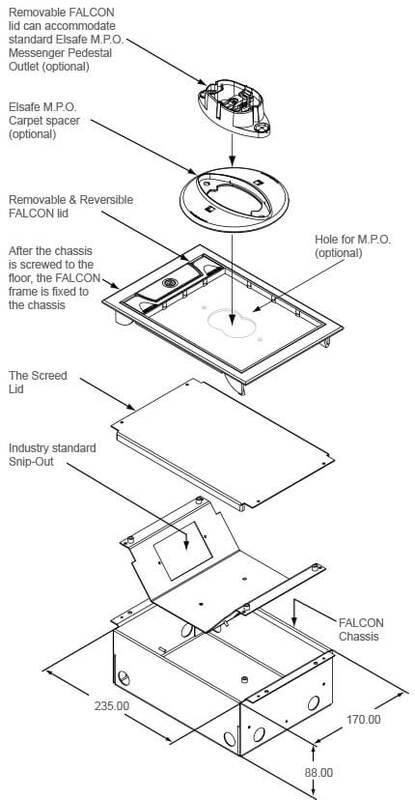 The FALCON chassis doubles as a screed box.